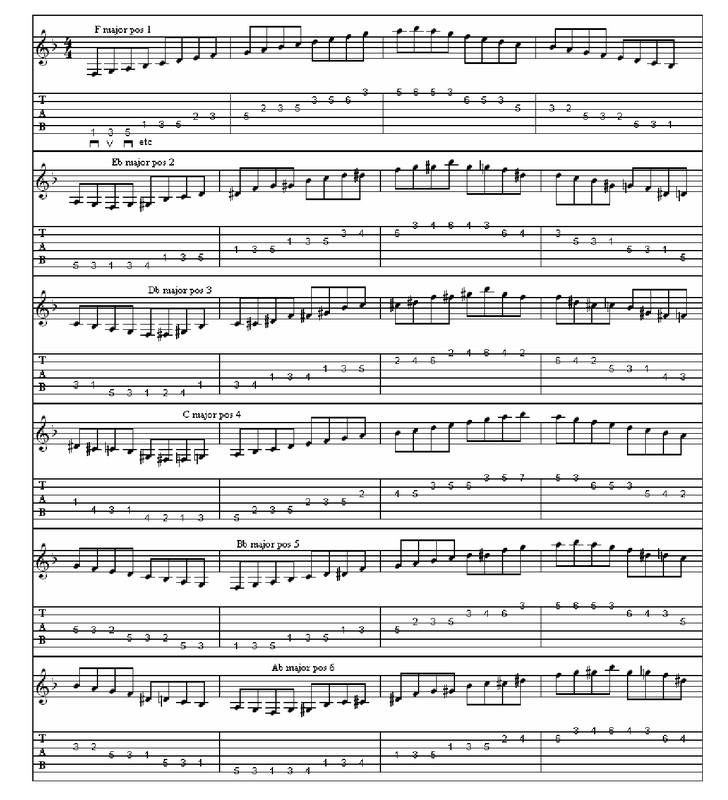 This entry was posted in Jazz lessons, Scales. There are 7 notes in a major scale, therefore each note appears in 7 different scales. The chart below shows the note C in seven different keys. It follows therefore that each fret will give us 7 different available major scales corresponding to the seven positions. 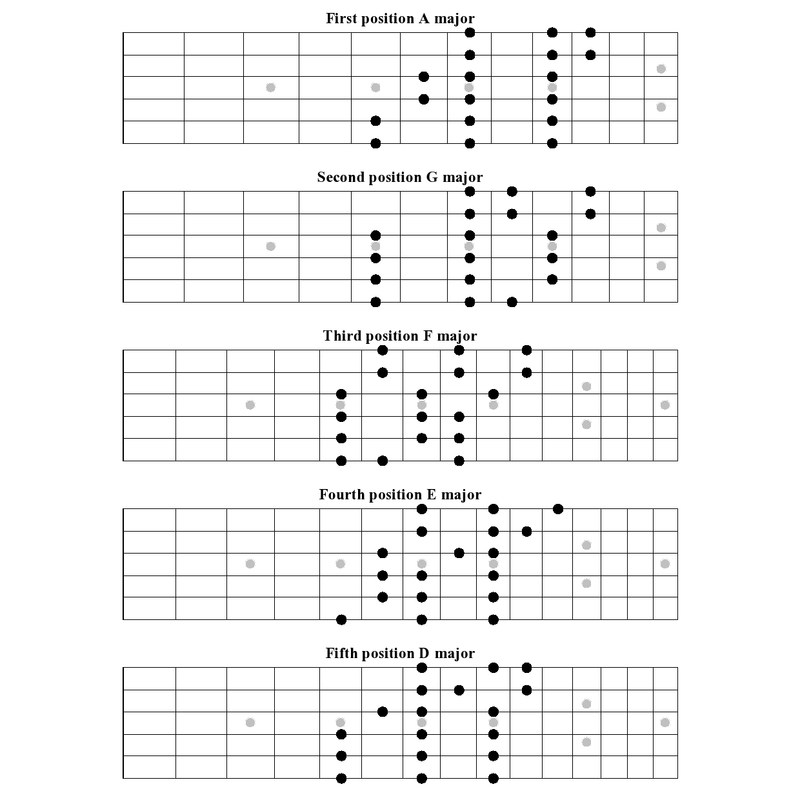 Here is a chart that shows the 7 positions on the first 12 frets. Each column gives us the 7 major scale positions available on that fret. For example starting on the 5th fret 6th string will give us the 1st position of A major, the 2nd position of G major, the 3rd position of F major, the 4th position of E major, the 5th position of D major, the 6th position of C major, and the 7th position of Bb major. The alternate picking exercise below goes through each of the seven positions on the first fret, first ascending then descending. Every time we ascend from the 6th string 1st fret we are playing a different major scale. F major 1st position, Eb major 2nd position, C#/Db major 3rd position, C major 4th position, Bb major 5th position, Ab major 6th position, and F#/Gb major 7th position. Playing this exercise on any two adjacent frets will give you all 12 keys.